This is my No. 4, MKI that I had professional rebuilt into a modern scout rifle. Now before an SMLE purist gets his drawers in a wad, this rifle was headed to the scrap bin. It had been chopped into a truck rifle and spent 40 years behind the seat of a ranch truck. Robert Bose in NE did the work. I have both 5 and 10 round magazines (3 each), new from England, not the sharp-edged Pro Magazines that are now common replacements. The rifle doesn't meet the "Cooper" standard of a scout due to weight, but I'd put it against any when it comes to delivering heavy bullets down range and recharging a magazine without removing it. My other SMLE sporter is the Gibbs Summit which is chambered in 45-70 Govt. It happens to be at Bose's, have a custom scout base mated to the barrel. 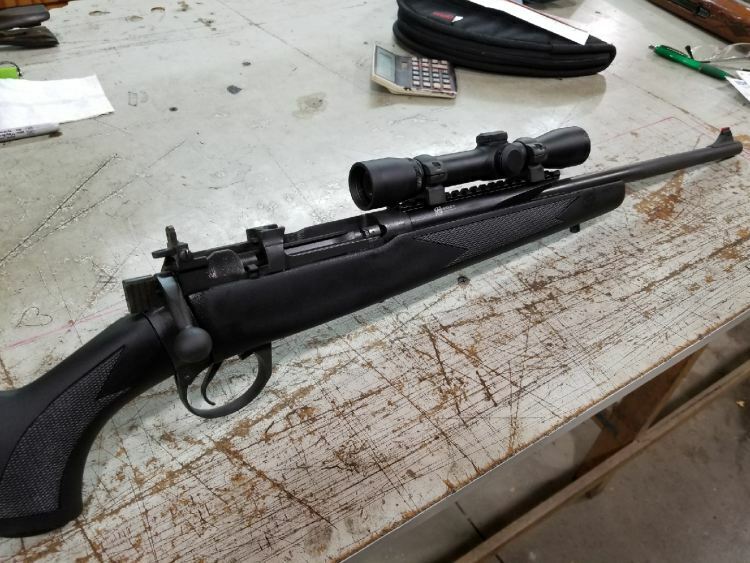 I'm not much for Enfields, but the 45-70 sure looks interesting! I think I've seen your user name before - possibly when I used to participate on the Marlin site many years ago. I like your Enfields, the 45-70 in particular, always kind of wanted one myself. I've always have done the reverse, find poor orphaned sporters, and try to make the 'whole' again. Usually if I found one chopped or drilled, I'd pass on it. I am ambivalent about it. If there were a decent supply of original barrels that might be ok. If the forward part of the barrel were damaged it would be ok. The new Criterion barrels cost more than the rifle is worth. Now that hurts. I have my scope mounted with the receiver site type removable mount. I did not have to modify anything. How is the balance with the scope that far forward? Have you priced out Surplus No4's lately? I know what some people want for a N0.4 still in the wrap, but that does not necessarily mean that all No. 4s go for that. 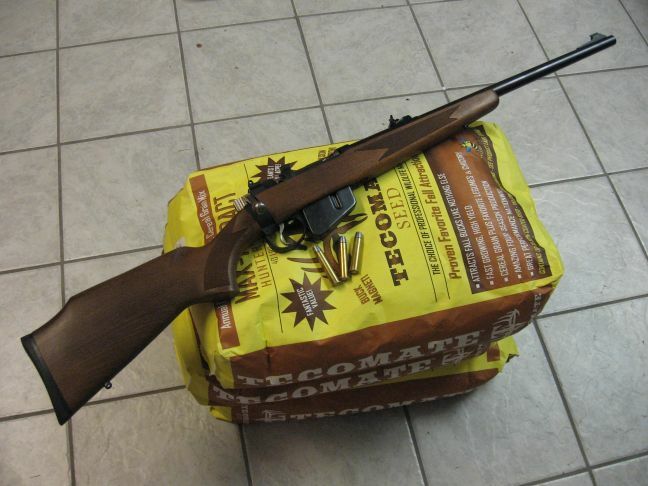 I would never have thought that a run of the mill Mosin Nagant 91/30 would be selling for $299. I think that both are over priced. That being said I do the same with rifles that are not easily restorable . 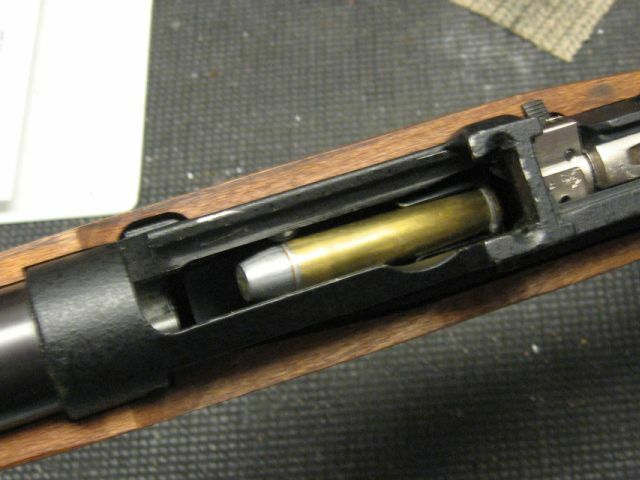 I just bemoan that If Midway can sell Green Mountain type 3 Mauser barrels for about $100 they could cnc enfield barrels for not too much more. A pity. Last edited by oldernavy on Sun Jan 20, 2019 1:36 am, edited 1 time in total. Balance is outstanding. I carry it in my right hand, gripped around the receiver; hence, my preference for the flush, five round magazines. 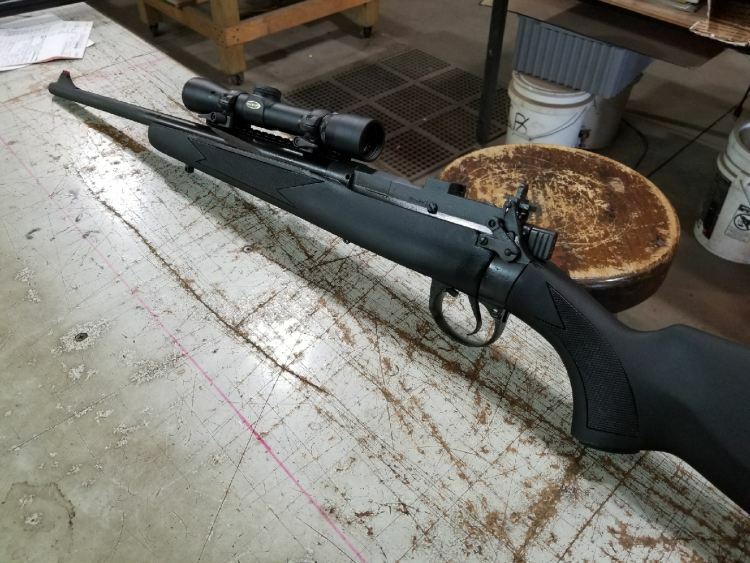 I wanted the rifle modeled after my Savage 10FCMs. Nice!!!! I thought of getting an after market stock for my Indian no.1 mk 3 in 7.62 x51 they look much nicer than stock. The no.4 is a work of art.